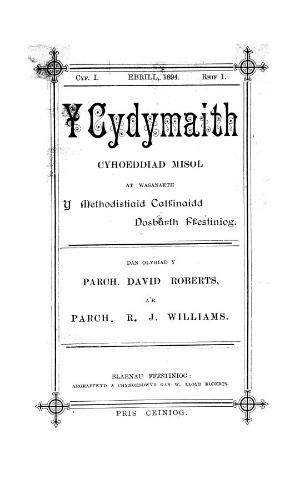 A monthly Welsh language religious periodical intended for the Calvinistic Methodist churches of the Ffestiniog district. The periodical's main contents were religious articles, music and poetry. The periodical was jointly edited by the ministers David Roberts (1835-1906) and Robert John Williams, with the minister and poet Richard Robert Morris (1852-1935) poetry editor and the musician William Hughes (Alaw Manod, 1847-1912) music editor.